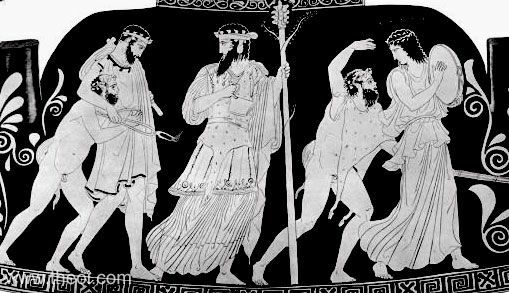 Hephaestus is led back to Olympus by the god Dionysus. 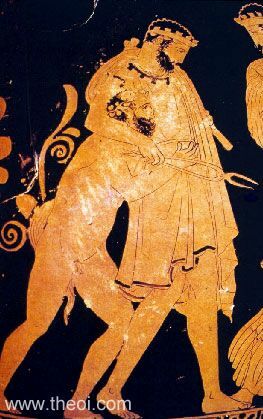 The drunken smith, holding tongs, is supported a Satyr. Beside him walks Dionysus bearing a thyrsos (pine-cone tipped staff) and a drinking cup. A tympanum-beating Maenad and dancing Satyr lead the procession. Drawing of the vase painting.